The winter is over, rugby season is done and dusted and the spring is upon us. While it is still quite cold, the Wedding season 2017 is certainly heating up, and where the weddings there are bridegrooms-to-be also knows as stags. Where the stags there are stag do parties. Stag parties (or how our Australian neighbors like to call it – Buck parties) are a must do before any wedding. Usually the best man is in charge of the day, he comes up with great ideas, does all the calling and organising and makes sure everyone (including the Groom-to- be) shows up. It is a lot of hard work to organize a memorable stag do, of course you can just throw a BBQ and some beers, but how is that different from any other day? And where do you start if you want to organize and be a part of a Stag Do that everyone will remember for years ? 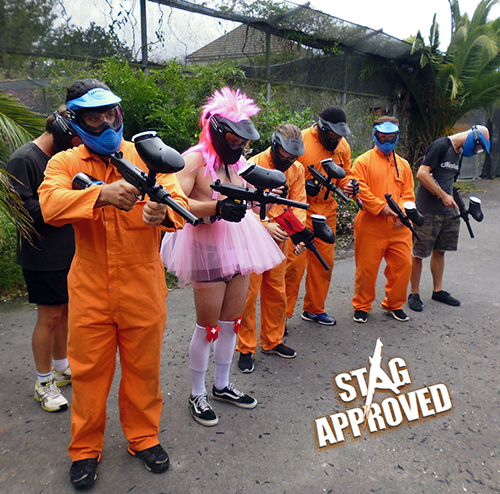 Sometime back we have put this guide – http://asylumpaintball.co.nz/organising-a-paintball-stag-party/ to help with organising a Stag Party, we keep it updated so please check it out, there is a lot of useful ideas in there even if you are not interested in playing paintball during a Stag Day. However if you choose paintball as an activity for the Stag Party, we believe, you won’t regret your decision. Over the years of operation Asylum Paintball has hosted hundreds of Stag Parties, Stag Dos, Hens Nights, Bucks Parties and everyone had a blast, have a look at our Facebook page for reviews, photos and videos from those who already had a chance to experience the best of Auckland’s Paintball – Asylum Paintball.